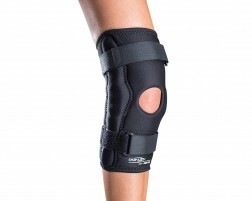 Need help selecting a PCL brace? Use our guided tool, Brace Advisor, which will provide PCL brace recommendations for you based on your need and level of activity. The PCL (posterior cruciate ligament) is a powerful ligament extending from the top-rear surface of the tibia (calf bone) to the bottom-front surface of the femur (thigh bone). The ligament prevents the knee joint from instability in the back of the joint. The PCL is usually injured by hyperextension (overextending the knee), or a direct blow to the flexed knee (such as from "dashboard knee" in a car accident). PCL tears are difficult to operate on due to the complexity of the surgery (the PCL is tucked behind other parts of the knee), and as a result treatment for PCL tears is controversial. 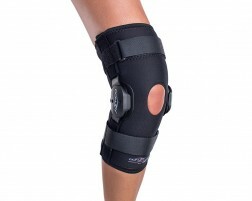 Wearing a knee brace for PCL injury may help you avoid PCL tears. 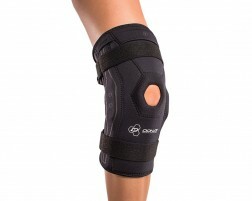 PCL knee braces can also protect your knee ligaments if you have already had a previous injury.